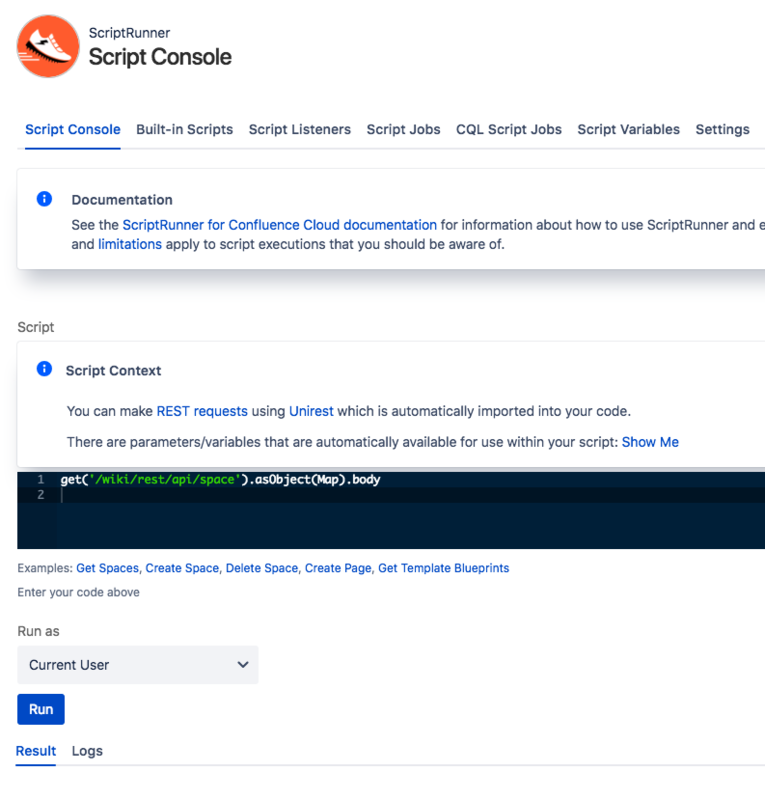 The Script Console is the place for running one-off ad hoc scripts, and for learning and experimenting with the Confluence REST API from ScriptRunner. It fetches and displays all spaces from an instance. 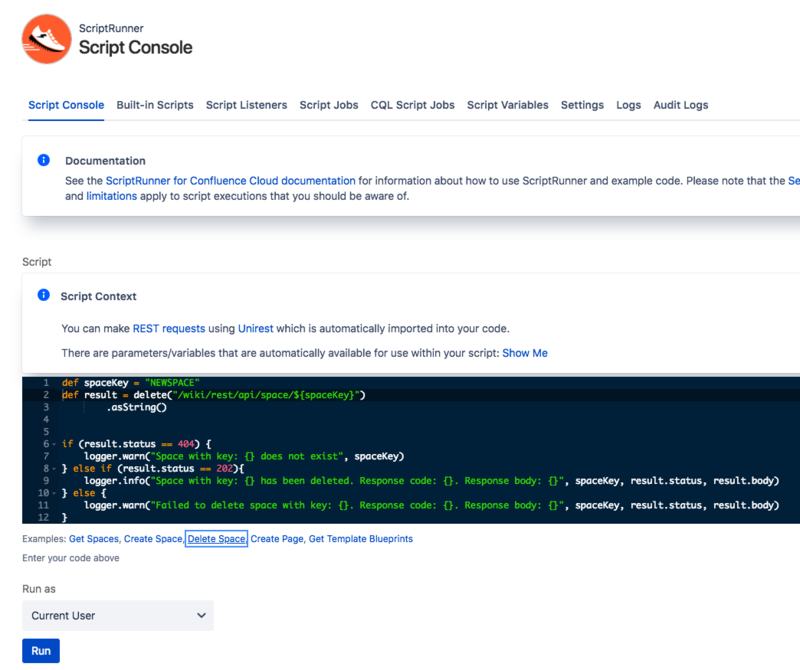 It can be used as a starting point for an automation, for example if you want to delete all spaces that are older than a specific date. It creates a Space with a space name, key and a description. 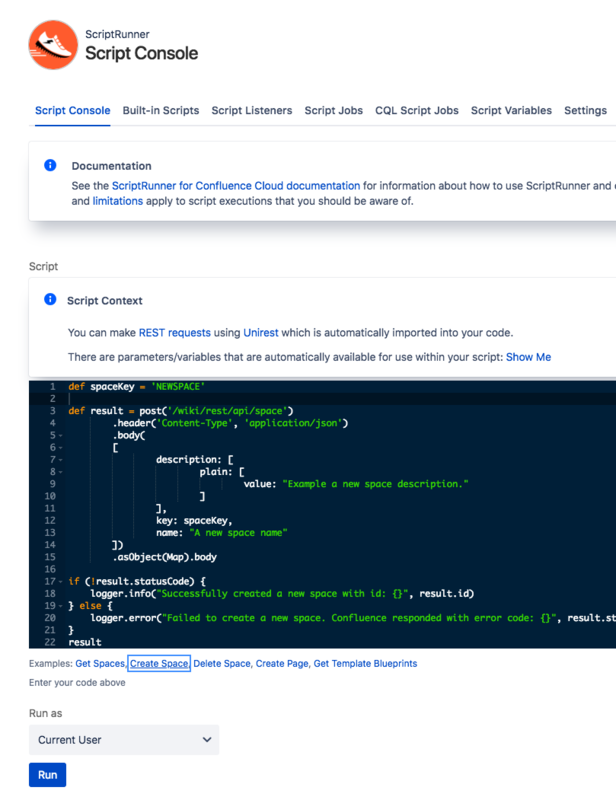 It could be used rapidly create a number of spaces for different teams during your Confluence setup. It deletes a Space with a certain key. This could be used to rapidly delete multiple old irrelevant spaces or used to periodically delete a space that has been used for archiving. 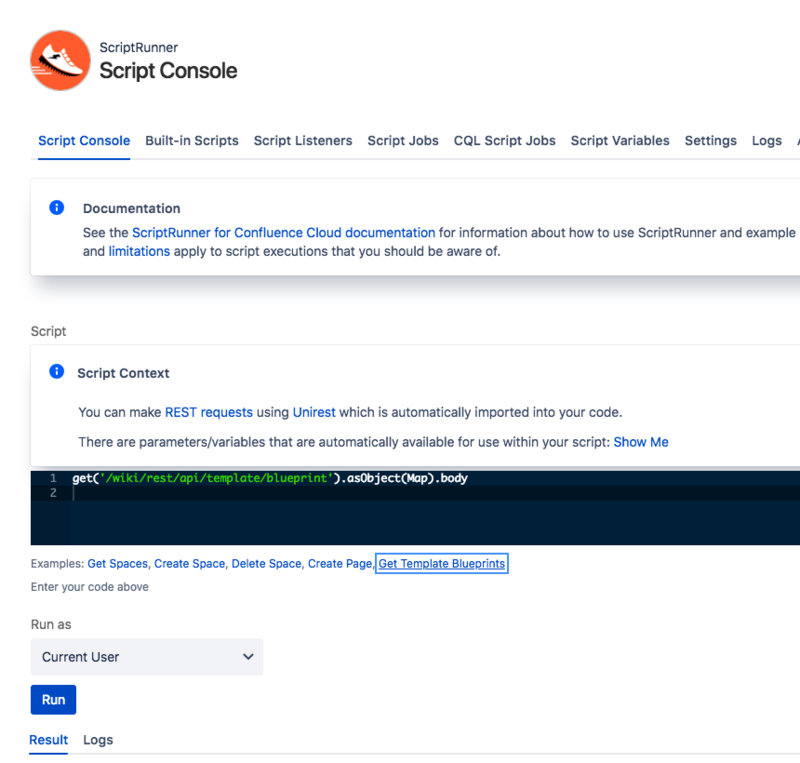 This script fetches a template blueprint so that you can automate off it. Combined with the create page example, you can create a page with a specific template.